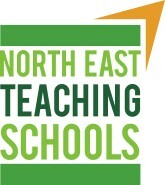 Campus Stockton Teaching Alliance has been successful in a joint bid for funding with North East Teaching Schools. Funding has been secured for a Targeted Leadership Support Program. This is to introduce aspirant (or recently appointed) leaders to the roles and responsibilities of senior leadership, whether as deputy or assistant heads and members of the senior leadership team, in order to create a pool of potential candidates and establish a mutually supportive network of such leaders ready to take the next step in their leadership journey. If you have someone who would benefit from this training, please click here for further details and how to apply.